Yes, you can have it all ... Location, Luxury & Income! On 1.6 acres, with plenty of room for more units, this PERFECTLY LOCATED Pines Course property is zoned Multi-family; a no-brainer for short-term (7-day minimum) or monthly rentals! 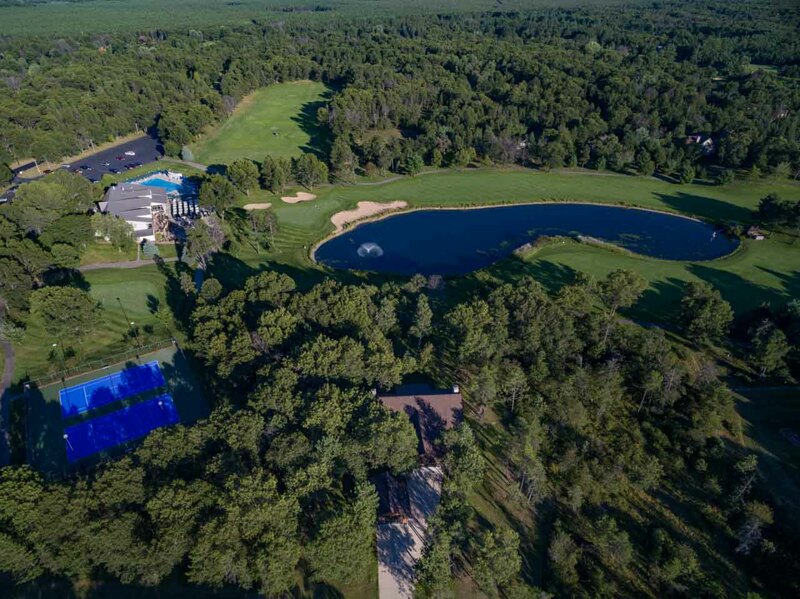 With Lake Arrowhead's Pines Course in your backyard (literally) and Sand Valley just over the hill, your customer base is endless! Of course, these nearly identical two bedroom, 3 bath townhome duplexes, only a pitching wedge away from the heated swimming pool, tennis courts, restaurant and lounge, would make a great family retreat as well. Features of each unit include a warm open concept interior with a genuine split-field stone fireplace accented by a high cathedral ceiling beautifully finished in rustic pine; convenient eat-in kitchen with laminate flooring opening to a spacious dining area; master suites on both levels in each unit, plus a main level guest bath; 3-season porch with a great view of the golf course, pond and fountain; outside you'll find a one-car attached garage per unit, plus an additional two-car detached garage (another rental option! ), concrete drive and a gorgeous wooded yard. Very well maintained, priced absolutely right and room for future expansion. All this and more on the finest location for short-term rentals around. Invest, Enjoy. Super Convenient to the Pool, Tennis, Clubhouse Restaurant & Lounge.